The Ehlers—Danlos syndrome (EDS) comprises a clinically heterogeneous group of connective tissue diseases, the principal features of which result from generalized but variable tissue fragility. EDS is a congenital disorder, but the age of onset of symptoms varies from birth to the fifth or even sixth decade of life. The major characteristics of EDS are, to a varying degree, present in all EDS subtypes. These include skin hyperextensibility (see Fig. 47.1), poor wound healing causing wide, thin, atrophic scars (“cigarette paper scars”) (see Fig. 47.2), easy bruising, joint hypermobil-ity (see Fig. 47.3) with recurrent dislocations, and generalized tissue fragility. During childhood, patients may present to the pediatrician with complaints as diverse as hypotonia or delayed neuromotor development, easy bruising, or abnormal wound healing. 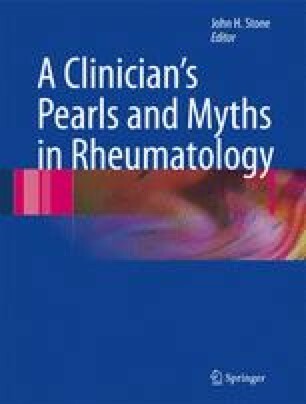 Later in life, patients may present to the hematologist due to unexplained bleeding diathesis; to the rheuma-tologist with complaints of joint hyperlaxity and arth-ralgias; to the orthopedic surgeon due to recurrent dislocations; or to the (vascular) surgeon with arterial or bowel rupture.